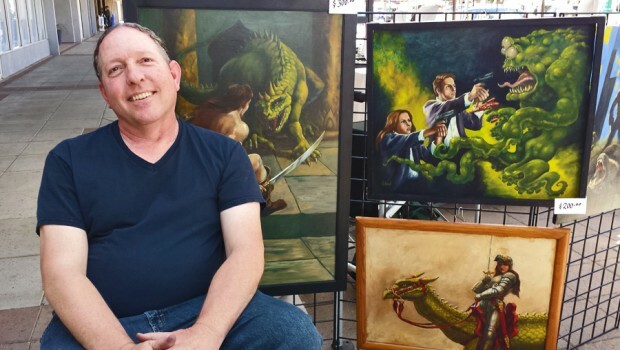 Gilead is an Arizona artisan who specializes in fantasy and science fiction paintings with a classic pulp impression, often using recycled materials like scrap wood as his canvas. His unique style has been featured in magazines, books, role playing games and in murals throughout the Valley. 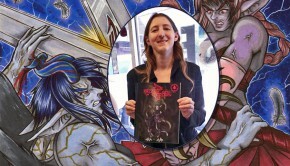 In addition to his incredible fine art, Gilead is also the creator of a popular series of fantasy themed coloring books called Gilead’s Goblinz, Dragonz, Alienz, Faeriez and Wild Animalz. Gilead’s art can be seen at Scottsdale’s Method Gallery, and you can often find him at pop culture and art events across the Phoenix metropolitan area.